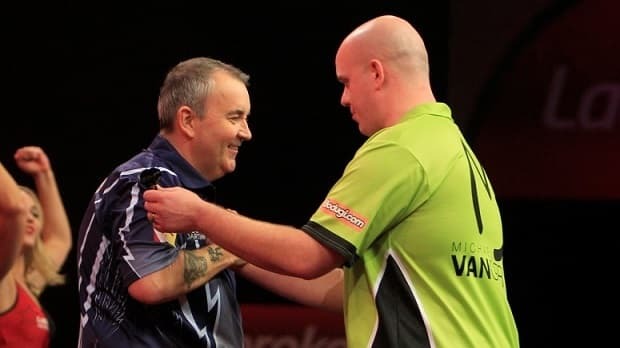 The Betway Premier League of Darts continues on Thursday night with a classic match in store between the top two players in the world – Phil Taylor and Michael van Gerwen. Dave Chisnall is also back in action after a storming start to the season, which has seen him rise to the top of the Premier League table. It promises to be another enthralling night of darts, and we’ve got some cracking bets lined up to make it a profitable evening. Last week’s leg of the competition took place at the Westpoint Arena in Exeter, and proved to be a sensational night with some shock results. We tipped Kim Huybrechts at a tasty 2/1 3.00 +200 2.00 2.00 -0.50 to overcome Raymond van Barneveld, and he duly dud the business by beating the Dutchman 7-5 in the opening game. Phil Taylor then followed that up for us with a 7-5 comeback win over James Wade, extending his unbeaten run to four games. Stephen Bunting claimed his first victory of the season with a sensational 7-3 win over Adrian Lewis, and bottom-of-the-table Peter Wright earned a superb point against van Gerwen, holding him to a 6-6 draw in what turned out to be a pre-cursor to the weekend’s UK Open final. The best was surely saved until last though, as League leader Dave Chisnall took on newly-crowned World Champion Gary Anderson. Chisnall continued his remarkable recent form to practically wipe the floor with the Scot, beating him 7-2, landing six 180’s and averaging 110.78 over the course of the match. This match will be the highlight of the evening as the best two players in the world go toe-to-toe at the oche. Mighty Mike comes into the game on the back of the UK Open success he secured over the weekend, beating Peter Wright 11-5 in the final. That should restore his confidence after he admitted last week that he had become frustrated with himself during the 6-6 draw with Wright, and hadn’t been able to focus on his game. 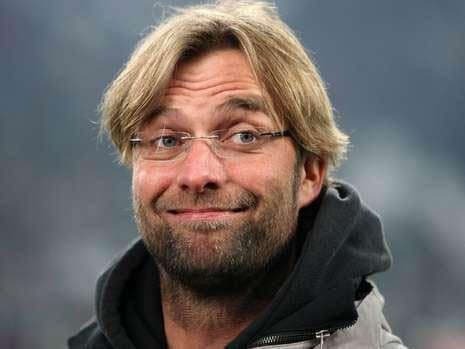 He remains second in the league table though, after a solid start which has seen him win 3 and draw 2 of his five games, and he’s yet to suffer defeat. Taylor is just a point behind the world number one, in third, with 3 wins, a draw and a loss to his name. However, that loss came on the opening night at the hands of an in-form Gary Anderson, and Taylor has remained unbeaten since, finishing off James Wade last week by 7 legs to 5. He sounded in bullish mood after the match, when he said “I don’t just want to be part of this Premier League, I want to win it.” He would have been disappointed to lose 10-6 to Peter Wright in the semi-final of the UK Open, and is certain to be fully focused on the match on Thursday night. The two have had so many epic matches over the seasons, and hopefully This week’s game will be no exception. In some respects the pressure will be off both players a little bit, and that may help them to relax into a game and make for an entertaining battle. So often these two have contested high-pressure games in the latter stages of competitions, but with both doing well in the League, and with plenty of darts left to play, there is no urgent need for either to win the points. That’s not to say it won’t be competitive, far from it, and both will want to land a psychological blow by beating their nearest rival, and laying down a marker for the rest of the Premier League season. It should be a very tight game, with both players in good form, and the draw is very appealing at the current odds. Our other tip for the night is on Dave Chisnall to continue his fine run of form by beating Stephen Bunting. We hope we’re not jumping on the bandwagon too late, but with Chisnall in such inspired form, he’s worth following for the time being. He sits top of the Premier League after an incredible 7-2 victory over World Champion Gary Anderson, and although only a point ahead of van Gerwen, he has a very impressive +16 leg difference. He fired in seven doubles from twelve attempts in that match against Anderson, and scored an oustanding average of 110.78. If he maintains that form he should have too much for Bunting. Bunting gained an impressive win himself last week, beating Adrian Lewis 7-3. That looks a good result considering that Lewis had held van Gerwen to a 6-6 draw in the previous week, but Lewis never really got his game going and Bunting took full advantage by taking 5 legs in a row to storm into an unassailable 5-1 lead. Lewis averaged just 91.45 during the match and Bunting averaged 96.02, which is some way below the standard that Chisnall set himself in the win over Anderson last week. Bunting beat Chisnall 9-6 in the second round of the UK Open at the weekend, so there is also a case for Chisnall to gain his revenge here. That match may be a little misleading as a form guide, as Bunting raced into a 7-0 lead before Chisnall really got going, and although he pulled it back impressively to 8-6, the damage had already been done.